INDIANAPOLIS, IN – It was an upset, and a much needed win for Ryan Newman at the Brickyard on Sunday. 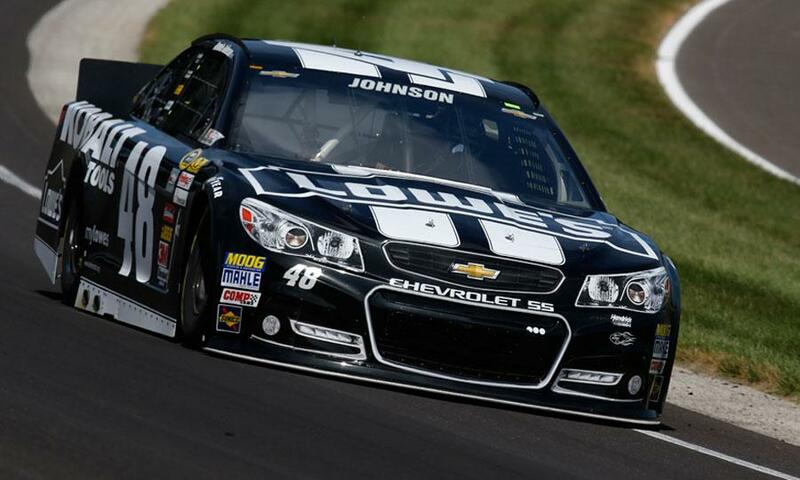 As usual, Jimmie Johnson had the car to beat, but a late pit stop gave pole-sitter Ryan Newman the edge he needed to pull off an upset. The Indiana native has not won here before so it was definitely a treat for Newman. 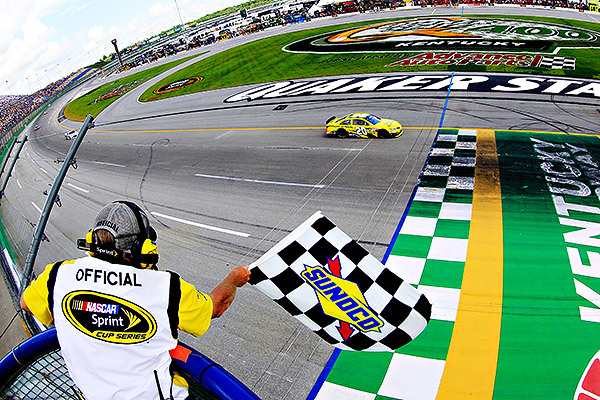 "Starting on the pole and winning the race -- just an awesome day for us," Newman said after climbing out of his car. "This is a dream come true for me. I can't wait to push my lips on those bricks. After qualifying on the pole, Newman commented “I'll admit I was emotional. 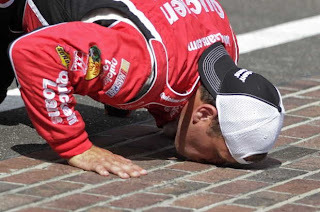 For me it special because it is the Brickyard, and I hadn't won a pole her before even though I have won so many poles. It's been so long since I won a pole, people ask me if I ran out of fuel for the rockets. That type of thing. So this is special to me for a lot of reasons; being home here in Indiana; being at the Brickyard; being so long since I won a pole. Hopefully we can turn it into a good day tomorrow." As we know, he did fine on Sunday. The win has even some additional sweetness since Ryan recently learned that he will not have a ride at Stewart-Haas next year. 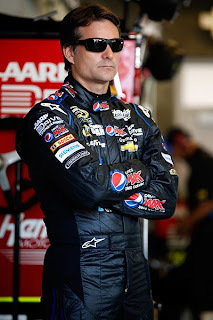 Stewart announced in New Hampshire that Kevin Harvick will be taking the wheel of #4 Chevrolet. 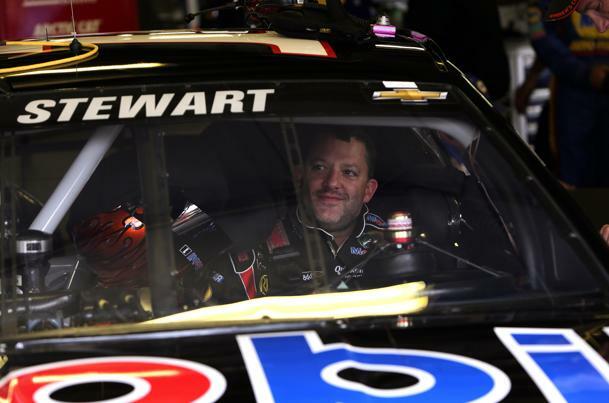 "Obviously, it [the win] helps," Newman said. "The emotions have been an absolute roller coaster -- no doubt. I got fired a couple of weeks ago and come back here and win the pole and win the race, and it's all because of hard effort. 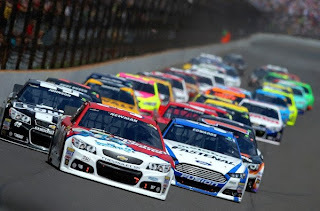 These guys (his team) are behind me, and I'm behind them." 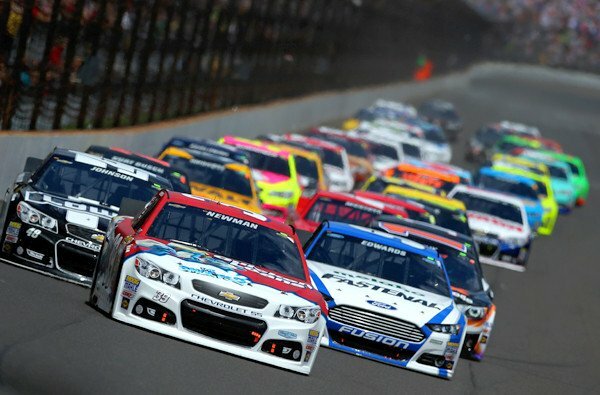 Following Johnson was Kasey Kahne then Ryan’s boss Tony Stewart. 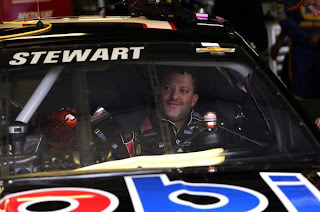 Allegedly, still friends, Stewart had some nice words for Ryan, "I can't wait to give him a hug and congratulate him," Stewart said after the race. "He did a great job all weekend. It was between him and the 48. That was clear to see. I didn't know what strategy was going to be at the end. 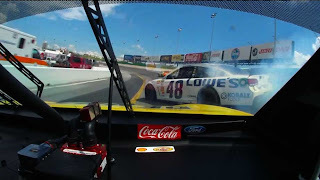 I just kept watching the Jumbotrons coming off (Turn) 4 to see where he was at." 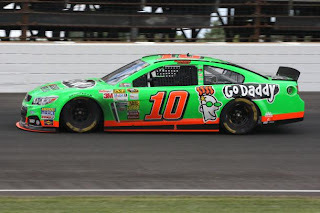 Danica raced better than she qualified moving from starting position 33 to finishing 30th. 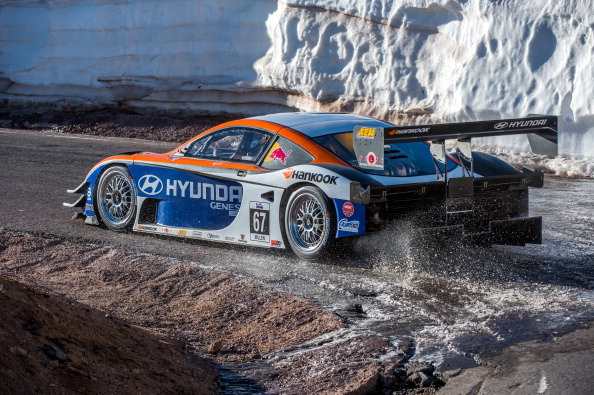 Loeb Shatters Pike Peak Hill Climb Record! 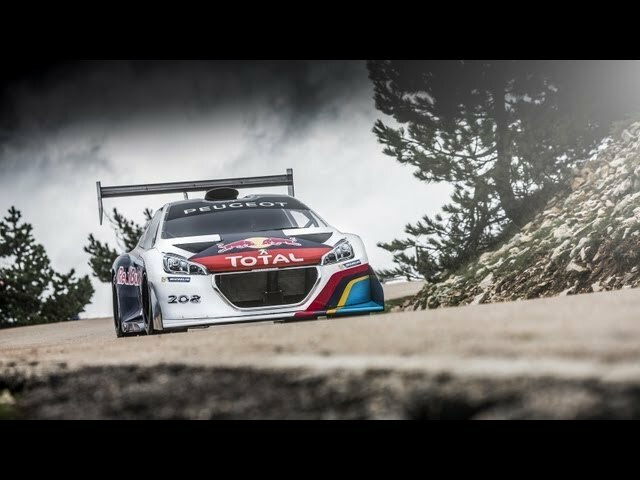 PIKES PEAK, COLORADO – World Rally Champion Sebastien Loeb just shattered the hill climb record, reaching the peak in 8 minutes 13.878 seconds. The nine-time champion drove the Red Bull sponsored factory Peugeot 208 T 16 at an average speed of 87.471 mph, almost 17% faster than Rhys Millen’s 2012 record run. Peugeot made a very serious attempt and went so far as renting the mountain for a day of practice. Romain Dumas was the second fastest qualifier but did not run on Sunday due to mechanical problems allowing Rhys Millen to take second place with a 9:02.192 minute time in the Hyundai Genesis. 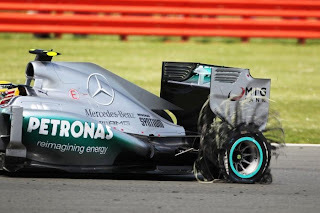 Millen commented that "Sebastien was in a league of his own this year,"
In Formula One, Nico Rosberg won another one for Mercedes in a race that turned out to be a disaster for tire supplier Pirelli. The qualifying star was Lewis Hamilton, the home town favorite who placed his Silver Arrow ahead of Rosberg. The Mercedes front row was followed by a Red Bull second row. Though the Mercedes were fast all weekend, the Renaults put up a strong challenge with Vettel taking an early lead after Hamilton suffered a spectacular tire failure on lap eight. It appeared that Vettel was unstoppable until a gearbox failure sidelined the Swede, giving Rosberg his second win this year. “It’s a very, very special day and I think what makes it more special is that our factory is so close, and our team has done such a fantastic job to come through during the season,” said the German. Speculation that a new bonding process implemented by Pirelli was the cause of the tire failures was quickly discounted by the tire manufacturer. A series of tire de-laminations earlier in the year caused Pirelli to modify the tire making process. But the series of spectacular failures involving Hamilton, Massa, Vergne and Perez prompted a serious inquiry by the teams and the FIA. In fact, Vettel’s and Rosberg’s tires were reported to have been close to failures following post-race inspections. No news yet from Pirelli regarding the cause, but the FIA has announced it will allow the experienced race drivers to participate in the “young driver test” at Silverstone later this month, provided it is clear that they are “testing tyres” for Pirelli. GPToday.com has reported that Pirelli is expected to announce that they will be reverting to Kevlar spec tires from 2012 for the upcoming German GP. 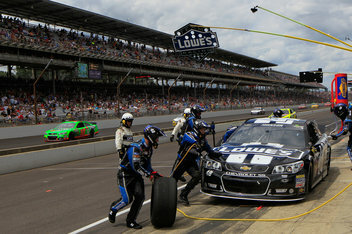 The race appeared to be Jimmie Johnson’s to win, but the pit strategy combined with Johnson’s late race spin allowed Kenseth the opportunity. 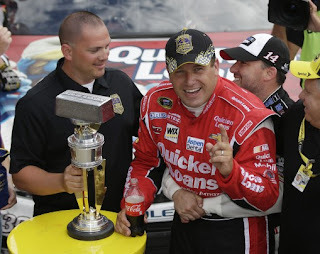 Jamie McMurray came in second with Clint Bowyer in third. 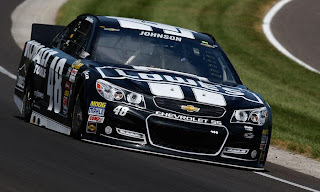 Johnson managed a 9th place finish in spite of the spin. 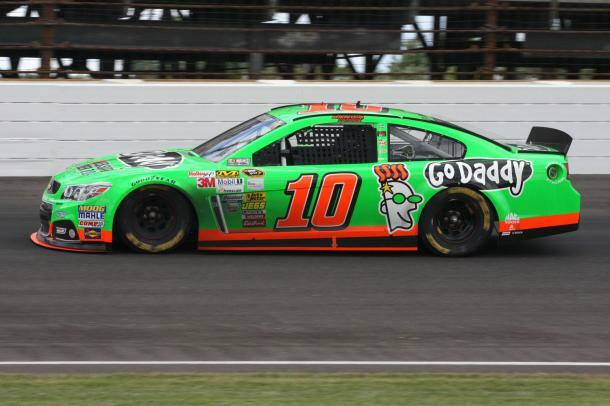 In other NASCAR news, Kyle Petty offered rather petty remarks about Danica Patrick. In an interview that aired on June 27, Kyle commented “Danica has been the perfect example of somebody who can qualify better than what she runs,” Petty said. 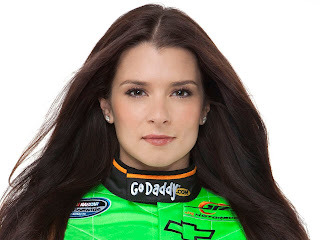 “She can go fast, but she can’t race.” Petty commended Patrick for her marketing success, but said the former open-wheel competitor was “not a race car driver.” “I really don’t care,” said Patrick, “I don’t. It’s true that there are plenty of people who say really bad things about me; I hear about them or I read about them or I read them on Twitter. People want me to die. “At the end of the day, you just get over that kind of stuff and all you can do is trust that you’re doing a good job and that’s all that matters and the people around you believe in you.” With only 8 Sprint car wins, Petty should probably keep his mouth shut.